On 15 April 2012, the city of Namie asked the Japanese government for free health-care for its residents. To monitor the long-term health the city would provide to all inhabitants health handbooks, in order to keep a thorough record of all health checks and thyroid examinations. The health books were made like the books used to monitor the health of the atomic bomb survivors in Hiroshima and Nagasaki. These "hibakusha" health books were free from medical fees, and Namie asked the government to set up a similar program for the people in Namie. Of the seven other cities around the nuclear plant, Futaba town was also willing to take part in this program. In April 2012, the government of the evacuated city of Namie bought a whole-body dosimeter. The device was installed in a temporary housing in Nihonmatsu, Fukushima, in order to monitor the internal radiation exposure and the health of the citizens of Namie. Some 50 people a day could be examined, a complete screening would take two minutes per person. Initial screenings of the whole population was planned to be finished at the end of the fiscal year 2012. In this way the government of Namie wanted to offer a long-term monitoring program to the population. Another reason for this, was the excessive exposure to radiation during the first days directly after the nuclear disaster in March 2011, when predictions from SPEEDY were ignored by the Fukushima Prefectural government. 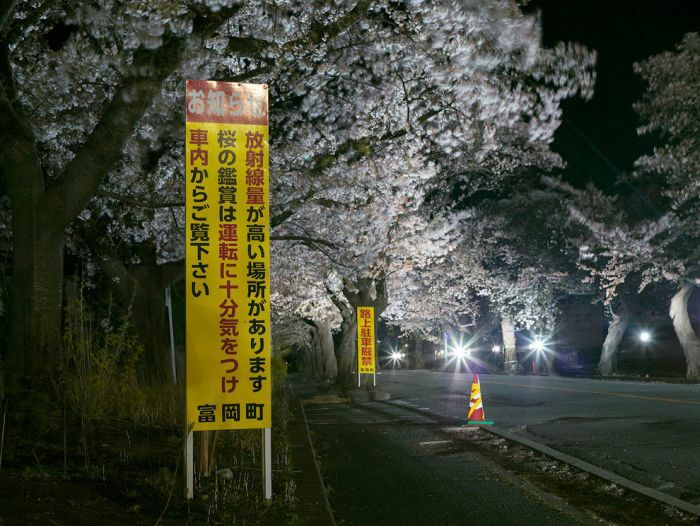 On April 1, 2013, the nuclear evacuation zone in Namie was revised. Japanese authorities decided to set three different zones according to different levels of radiation.